Not all roofs have to be the same. The market has so many great options that you might want to rethink what you are proposing and consider an alternative roofing material. Many lesser-known options can outlast asphalt shingles and other conventional materials, and some can even lower your electric bill! And if you're planning a low-slope roof, chances are that shingles won't work anyway. 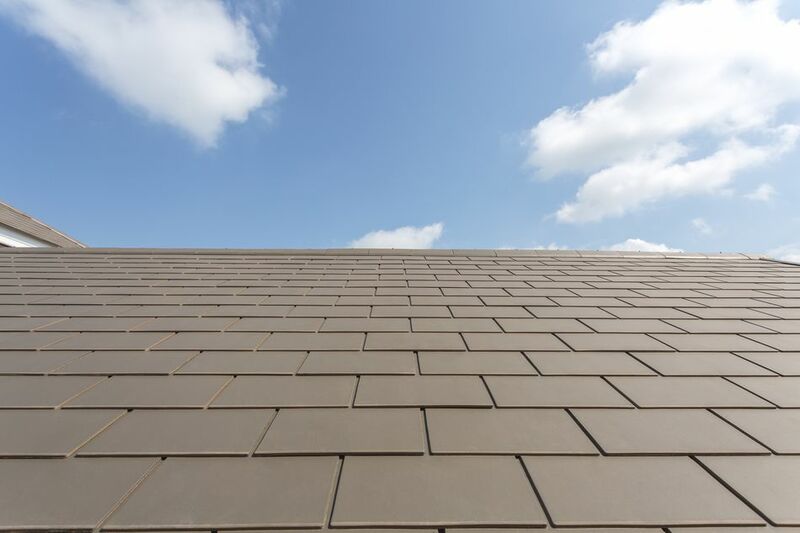 Stone-coated metal roofing, or stone-coated steel roofing, has a deep, architectural profile and can mimic the look of asphalt shingles, wood shakes, or clay tiles. This premium roofing material comes with warranties up to 50 years and is rated highly for resistance to winds, hail, and fire. It is made with corrosion-resistant metal coated with crushed granite that is permanently bonded to the metal. The granite coating is not designed to slough off over time, as with the mineral coating on asphalt shingles. Stone-coated metal roofing typically is installed over wood strips, or battens, that create air channels between the roof deck and the roofing. These air spaces serve as insulation to help keep the roof deck cooler in summer and help minimize ice dams in winter. Built-up roofing is the most popular roofing material used on low-sloped roofs. Made of several layers of bitumen surfaces, built-up roofing is finished by applying an aggregate layer or coating as the top layer. This top layer normally is tar, over which the gravel is laid. Types of built-up roofs include smooth asphalt (either hot or cold) and ballasted asphalt. All types generally comprise four parts: decking, insulation, ply sheets (reinforcing fabrics), and one or more surfacing materials. The layers are bonded together with asphalt (tar) or other bitumen material. The type of surface coating used can have a significant impact on the cost and durability of the roof. Most built-up roofs installed today include a layer of rigid insulation for energy performance. The ply sheets are commonly reinforced with fiberglass mats or organic mats, depending on their application. Solar shingles offer an alternative to conventional rooftop solar panels, while also serving as a roofing material. While early versions of solar shingles and other solar roofing products used flexible "thin-film" solar technology, today's solar shingles typically are made with rigid materials, such as tempered glass. This makes them look and perform more like conventional shingles, and most can be installed similarly to shingles and without special installation crews. Of course, the greatest benefit of solar shingles is that they create electricity during daylight hours. As a result, roofing starts paying for itself from the day it is installed and over the entire lifetime of the system. It's the only roofing material that offers a financial return on your investment. Single-ply roofing is a popular option for commercial buildings and can be used on any slope of roof. There are two main types of single-ply roofing: thermoset and thermoplastic. Thermoset membranes are made with layers of synthetic rubber polymers, such as EPDM, CSPE, and Neoprene. They are commonly used for large roof areas because their large size minimizes the number of seams. Thermoplastic single-ply membranes often are hot-air welded together to form cohesive laps. When the thermoplastic material cools, it returns to its original state, forming a permanent bond. Thermoplastic membranes typically include a reinforcing layer of polyester or fiberglass for strength and stability. Standing seam roofing is a type of metal roofing made up of vertical panels with two seams per panel that stand up vertically. They offer a more finished appearance and better durability than traditional corrugated metal roofing. Standing seam roofing is commonly available in galvanized steel, Galvalume, and copper materials. Standing seam panels are installed over standard plywood roof decking and an approved underlayment, such as ice-and-water shield. The panels are typically 12 to 24 inches wide and run parallel to the slope of the roof.